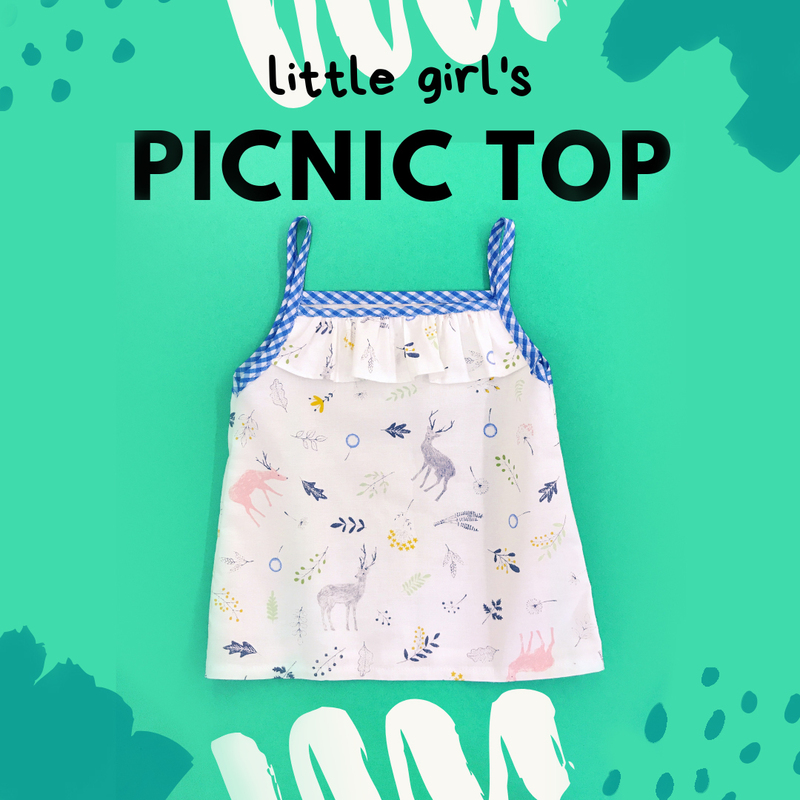 This fun little Picnic Top (for ages 2 - 8yo) is not just for picnics! Made with our range of 100% cotton fabric, it's great piece to stay cool on hot days. Learn how to create gathers on fabric and finish the neckline and armhole professionally using bias tape.